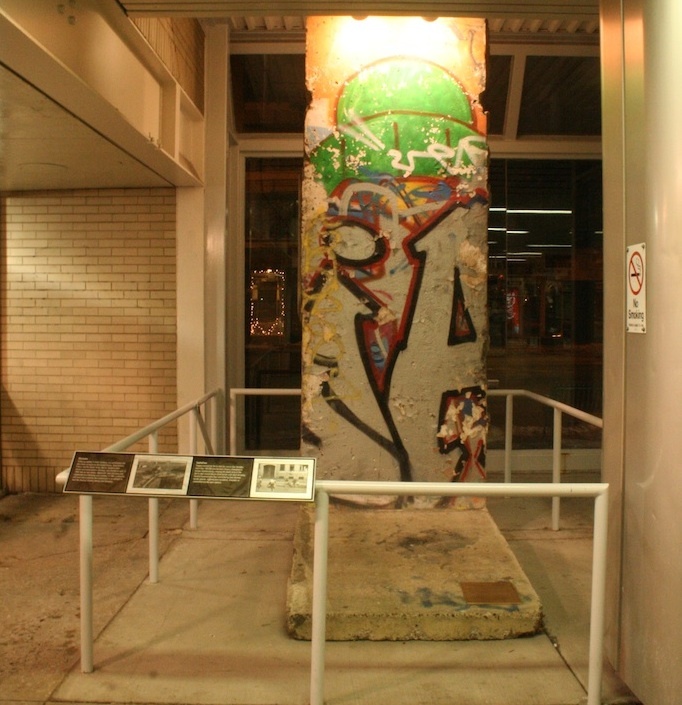 Decendents of German emigrants are dominating the cityscape at Lincoln Square, Chicago and its immediate vicinity since the mid-19th century. 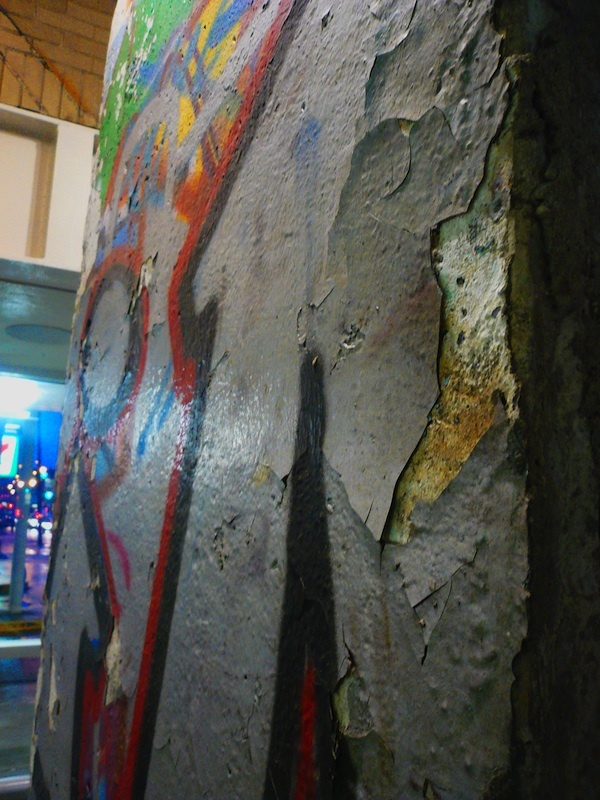 Consequently, there is a Wall segment in the metro station since the beginning of 2008. 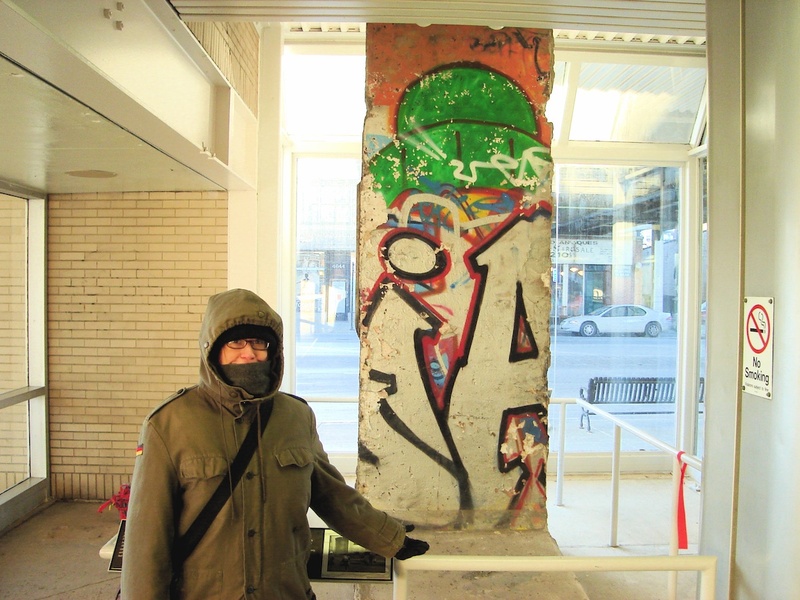 To get the Wall there was a joint initiative by the German General Consul Wolfgang Drauz, the District Mayor Gene Shoulder and the President of the Chicago Transportation Society, CTA, Ron Huberman. Numerous German associations have supported the project.